The creation of this recipe was spurred by a corn and blueberry salsa I made earlier this summer. It was a simple, use-up-the-leftovers kind of dish that began with a few lonely ears of grilled corn that had survived the Fourth of July feast. Shaving the kernels off the cobs, I tossed them in a bowl with a handful of fresh blueberries, minced onion, lime juice, lime zest, and olive oil. Striking an effortless chord between sweet and savory, and I thought, this combination would be excellent in a cornbread. It's already a common practice to plunk blueberries into cornbread batter -- in fact any bread with blueberries wins in my book -- but corn and blues are especially allied by their sweetness. While some recipes strictly use cornmeal and flour, I incorporated fresh corn kernels into the batter as well to boost the flavor and add another textural element. (Plus, sweet corn is so delicious right now, it would have been a crime not to use the fresh stuff.) Densely packed with kernels and berries, the real excitement comes when lime and basil enter the stage -- lime's tang keeps the bread's sweetness in check, and basil grounds it with savory, earthy notes. That's summer in a skillet right there. Heat oven to 375 dgF. Coat cast iron skillet with olive oil and put in oven to heat. Wash blueberries, pat dry, and sprinkle with 1 Tbsp flour. (This will prevent the berries from bleeding/sinking while the bread is baking). In a large bowl combine cornmeal, grits, flours, baking powder and salt. In a separate bowl whisk together eggs, buttermilk, honey, olive oil, lime juice and zest. Pour wet ingredients into dry and stir until just combined. Fold in 2 cups fresh corn, blueberries and about 1/3 cup chopped basil. Remove hot skillet from oven and pour in batter, spreading out evenly to the sides of the pan. Bake for 30-40 minutes until the edges are golden and a toothpick comes out clean. Allow to cool briefly in the skillet -- (at this point I suggest slicing a warm wedge right from the pan and pouring a glass of milk) -- then loosen the edges with a spatula to release the bread from the pan and allow to cool completely before storing. This sounds so good right now - I wish I wasn't at work so I could make it! Is there a different pan you recommend if you do not have a skillet that will provide the same texture? What an interesting combination! I'm a huge cornbread fan, so I love finding different spins and ways to spice it up. It definitely looks like summer in a skillet! 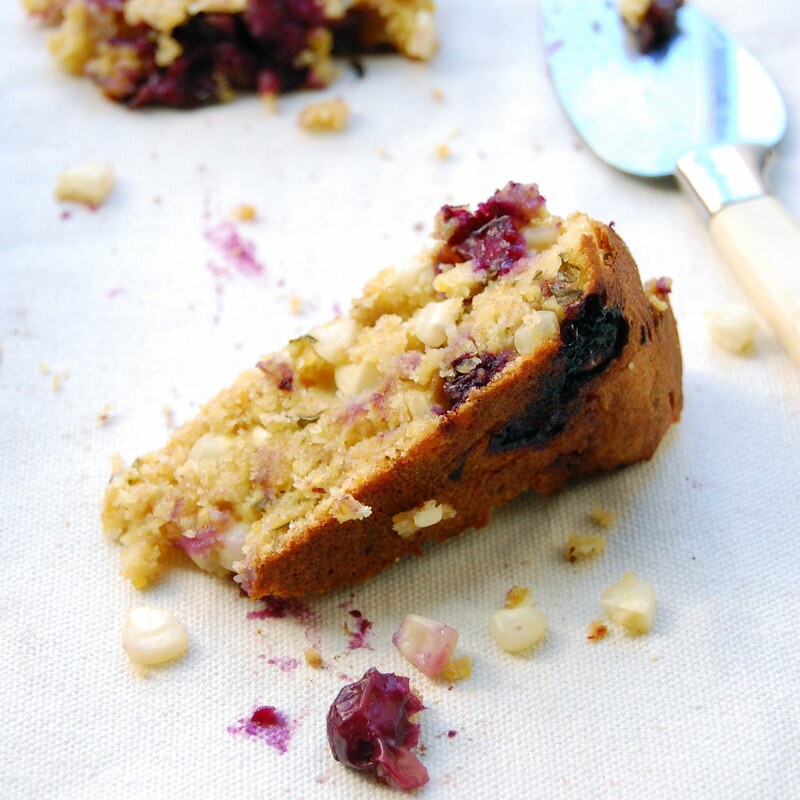 Blueberry, basil and lime cornbread?! I want to make this immediately.